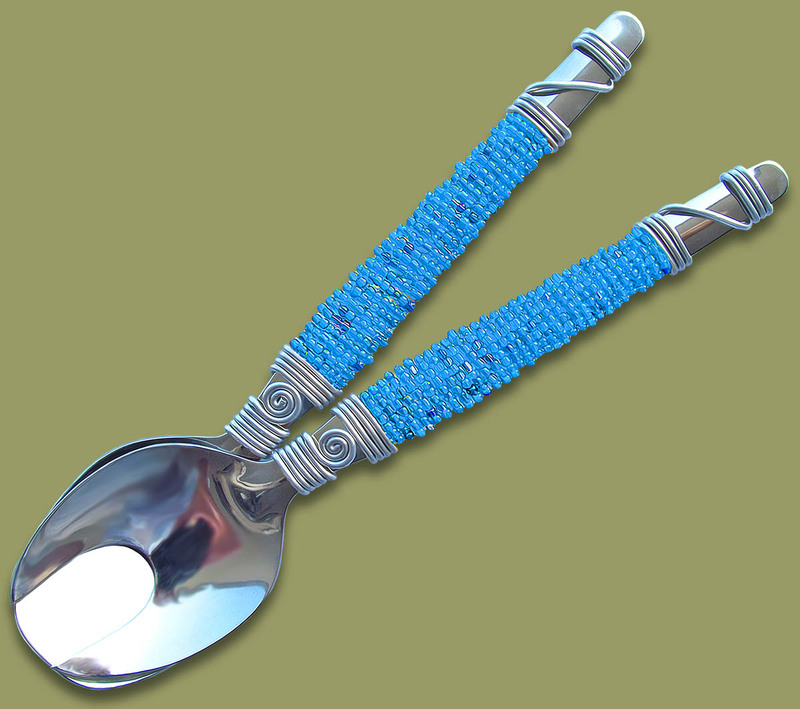 African Beaded Salad Servers - BLUE - stainless steal. Handmade by the rural Zulu woman of South Africa using traditional African beadwork skills. UN-PACKAGED - please order packaging separately. If you do not order packaging you will receive un-packaged salad servers.